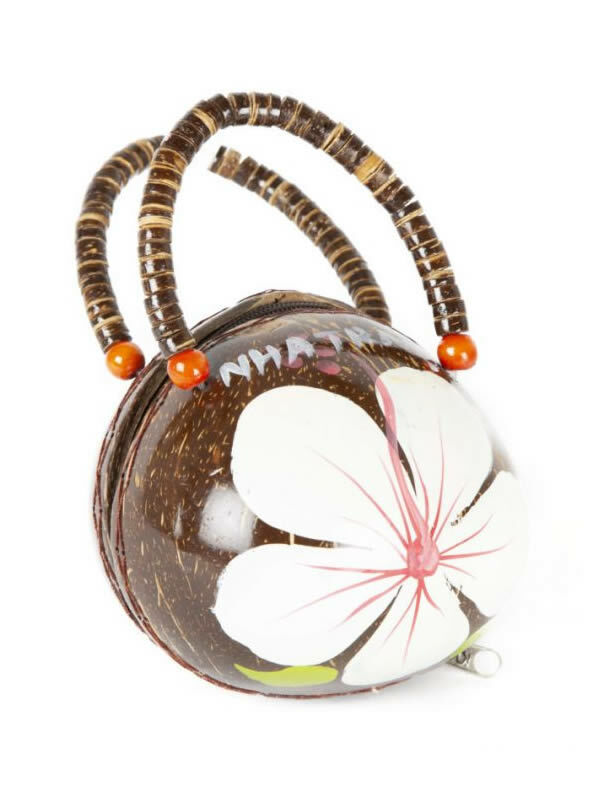 Interesting and unusual coconut handbag. Yellow lining and pretty flower decorations. Pretty beaded handles finish this eclectic bag of beautifully. Crazy coconut handbag with zip and yellow lining. Quirky little bag!